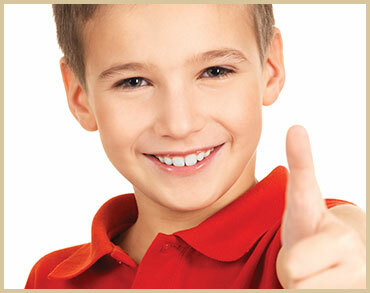 Family Dentist Las Cruces NM | Children's dentistry complete with sealants, cleanings & exams! Our doctors can put your children at ease for their treatments. Our thoughtfulness is reflected in the way we provide dental care in a gentle manner. We use the latest advancements that make visits easier with less time in the dental chair. We teach our young patients how to care for their teeth on a daily basis and instill the concept that proper care will help them keep their natural teeth for a lifetime. We enjoy every visit, beginning with their first tooth, and seeing them change each year as they grow up. It is our goal to have each generation of children grow up without fear of dentistry. Parents have told us they are very pleased that their children enjoy their visits to our office. We can help with an active or scared child to make them feel comfortable and relaxed. We believe in teaching children good dental hygiene to prevent oral health problems. The best dentistry is less dentistry by preventing whatever problems you possibly can. They often do not brush as thoroughly as they need to. We ask parents to be a part of their daily care until they learn to do a good job. Children tend to eat more often throughout the day, referred to as "grazing." Every time you eat, acid is produced in the mouth. The more your teeth are exposed to this acid, the greater chance of developing cavities. If teeth are not as clean as they need to be, additional acid is produced, causing cavities to develop more quickly. We recommend improved hygiene habits, better dietary choices, and one application of a mineralizing sealant to greatly reduce the occurrence of cavities for your children. Any amount of decay, even the smallest cavity, will require a restoration. Is there a treatment that can help in the prevention of cavities? Yes! 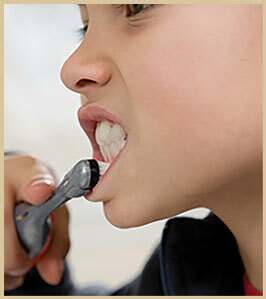 Dental sealants have been proven to be very effective in the fight against cavities. It is one quick and easy application to the back teeth that will help to preserve children's and adolescents' adult teeth for a lifetime. The whole procedure takes just minutes! After the teeth are cleaned, one thin coating of a clear sealant is applied to the exposed surfaces. The dentist uses a curing light to bond the application to teeth. And that is all there is to it. No shots, drilling, or tooth removal are necessary. We highly recommend this treatment to reduce the occurrence of cavities. You've probably read or heard about stem cell research in the news. Studies have shown that using human stem cells for many dreaded diseases can cure the condition. They work by regenerating many of the body's vital functions. They can heal many types of tissue and have already shown to successfully treat illnesses such as: brain injuries, heart disease, arthritis, Muscular Dystrophy, Leukemia, Crohn's disease, Multiple Sclerosis, diabetes, Parkinson's Disease, gum disease, and sports injuries. There are even anti-aging applications. Is it possible to store some of your stem cells to be used later on in life to combat disease? Yes, now we have the knowledge and capability to store the stem cells from your teeth. Amazingly, rather than discarding children's primary teeth, they can be preserved for future medical needs when they arise. Your entire family deserves a healthy smile! Give us a call today at (575) 522-1983 to schedule a visit for everyone.